... A global movement of followers of Jesus is exploding across the world! Unprecedented numbers of people groups from many nations are finding the fullest expression of their identity in following Jesus. Christians, Muslims, Hindus, Tribal groups, and Buddhists are discovering that this global movement is where history was going all along, and want to make this known. 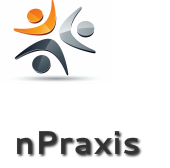 Since 2010 nPraxis has been nurturing and supporting such indigenous movements -- now in more than 50 countries. We also exist to invite the global Church to join God's movement among the nations through prayer and giving. Introduce yourself to God's unparalleled work in the world of 1.7 billion people. Through visions, dreams, and signs Jesus is drawing whole movements to Himself. ﻿Get acquainted with arising opportunities among a new generation of indigenous leaders who are reaching out to 15% of the world's population. Pray for the 180 million people spread across 980 unreached tribal groups.